A popular destination during prohibition, speakeasies haven’t completely disappeared from the map. Quite the opposite, actually. These low-key hangouts are making a comeback, and you’ll find several in South Carolina. 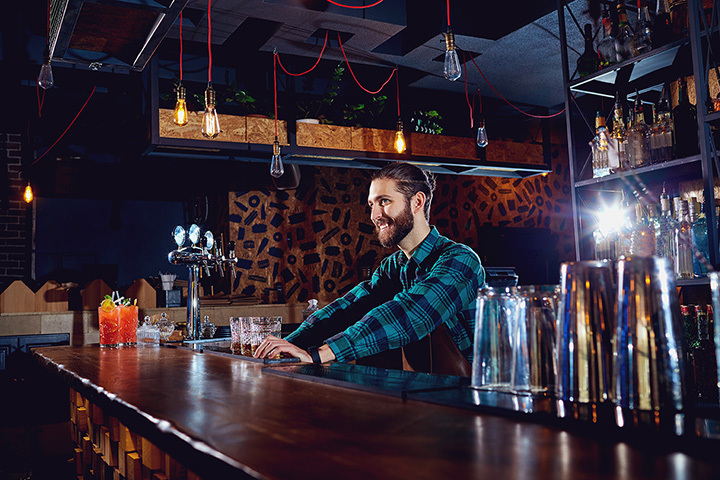 Modern speakeasies are paying homage to decades past, serving up classic libations alongside favorite craft cocktails and beers with an ambiance that will make you feel like you’ve traveled back in time. Take a trip to one of these five best speakeasies in South Carolina—no password required. This stylish eatery gives a nod to the classic speakeasies of the 1920s. Inside you’ll find inventive cocktails and casual tastings to satisfy your appetite. They often host blues and jazz musicians to complete the Roaring Twenties’ motif. You might never know this subterranean tavern existed unless you were looking for it. Right off Main Street in Downtown Cola, this little dive bar offers the best in food and beer through the wee hours of the morning. Tucked away from the clamor of the city, it’s the perfect spot for those looking for a little R&R in cozy surrounds. Classy and stylish, there’s no shortage of dizzying libations here. Serving some delectable bites that deserve to be called something better than bar food, this cozy joint knows how to deliver a drinking experience you won’t be soon to forget. One of Greenville’s newest haunts, this below-ground establishment gives the old speakeasy style a modern embellishment. Guests can enjoy their Golden Age-inspired cocktail in a sophisticated lounge setting, complete with the original elevator of the Dr. Pepper Cola Bottling Company that used to reside in the building. It’s a small, intimate atmosphere, which makes a visit here ever more alluring. Nestled alongside Five Points, this classic Prohibition-themed joint features live jazz music to accommodate its cocktail pairings. Laid back and personable, the bartenders here specialize in craft and classic cocktails. They also feature one of the best beer selections in the city. Even if you prefer a zero-proof beverage, the music alone is well worth an evening here.